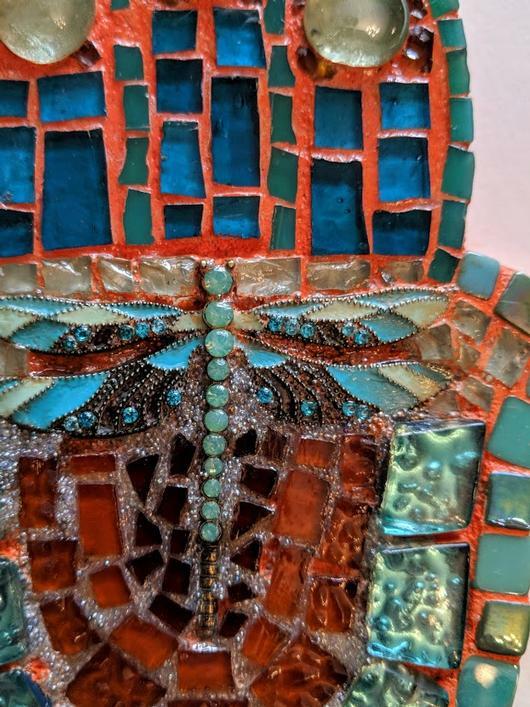 The moment I saw the dragonfly (pendant), I knew I wanted to do something with it and that something ended up putting it in the center of a hamsa (i.e., Hand of Miriam, Hand of Fatima) instead of the traditional eye. Because the MDF substrate is small, cutting glass was quite a challenge. Let's just say that a bottle of "liquid skin" is always on my worktable. Another challenge was using dark glass that always looks better with light shining through it. I've discovered that making the substrate super-white helps, as does choosing a grout color. 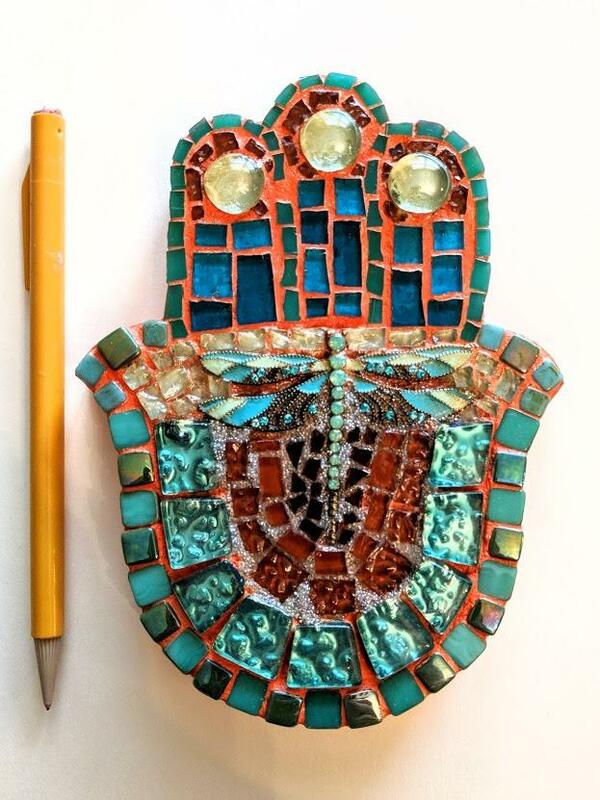 The grout color was initially too pale, so I painted over it with acrylic to intensify the orange, then glazed the entire thing with an acrylic glaze. The piece ended up being purchased by a heavy-duty yoga practitioner married to an Episcopal priest who hung it next to a statue of Ganesh and sent me a picture. Wild!